Battery life in a mobile device is very important. All your fancy specs won’t mean anything if you can’t keep it turned on more than 15 minutes, so we’re seeing companies either putting bigger batteries in their phone like Motorola’s MAXX line or trying to innovate to make batteries last longer. 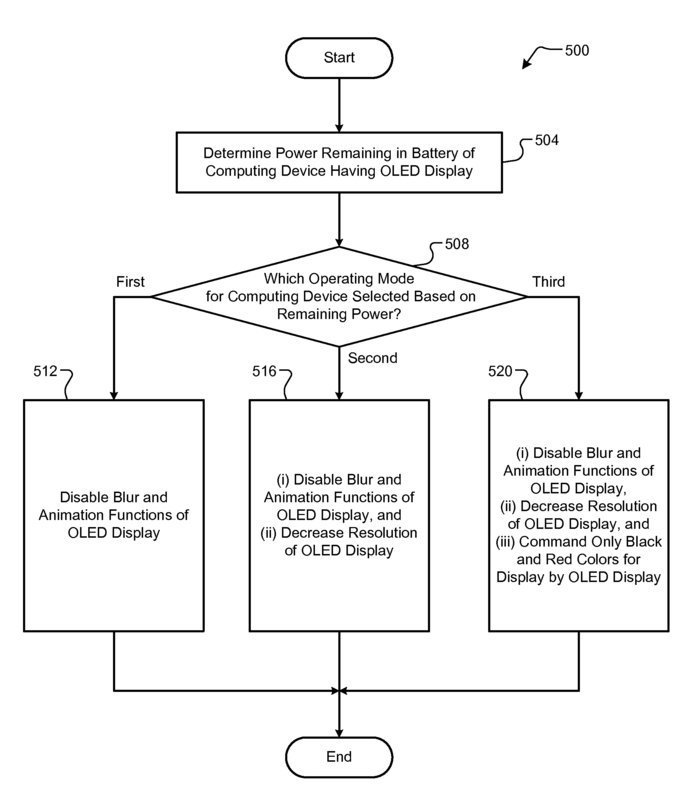 Seeing as how the display in a device is usually the biggest battery drain on a device, Google has just been granted a patent that allows Android to read the battery life of a phone and change the display accordingly. In this listing, the fine print lays out the procedure of how this patent will work. Depending on the amount of battery left, the operating system will change the display to lessen the amount of power it draws by disabling blur and animations between screens. If the battery is extremely low the operating system can even lower the resolution of the display. This certainly sounds like the type of tech we would expect Google to include in a Nexus device, maybe if we are lucky we will see this in the Nexus 5.